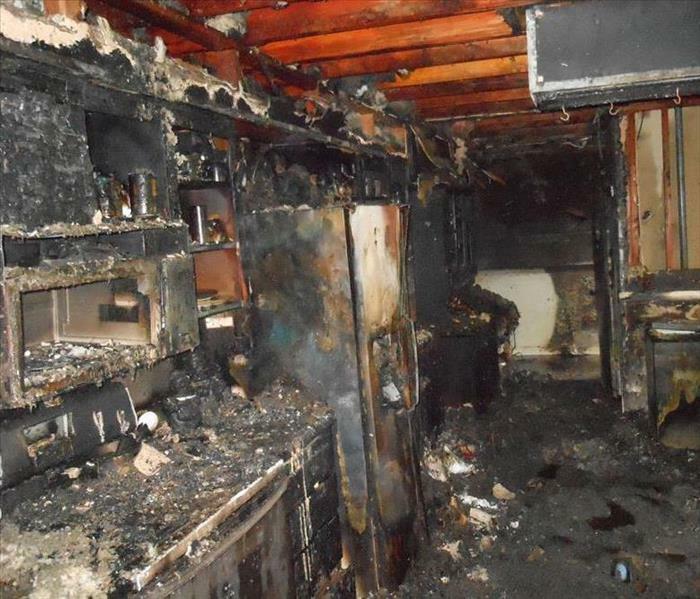 A common kitchen fire can be devastating. Call the professionals at SERVPRO to make it like it never even happened. How Can a Company like SERVPRO Help? SERVPRO of Archuleta, Montezuma, La Plata & San Juan Counties is here to help you 24/7/365 with any fire damage and restoration issue. Need help dealing with smoke odor in your home? Perhaps you had a small fire in your kitchen, or some Christmas lights caught on fire and you are now left with a smoky smell inside your home. Well that is what I aim to help you out with, addressing the main points you need to know in effectively dealing with and eliminating smoke odor. Proper smoke odor removal will entail a combination of tactics including cleaning, deodorizing, and sealing of materials. Step 1 – Remove any and all burnt materials from your home (or area you are trying to rid smoke smell from). So long as the source of the smell (in this case burnt materials) is present, you will have a difficult time removing the smoky odor. If burnt areas or items can’t be removed (such as structural materials) then you may need to apply a sealant to the area which will lock in the odors. Step 2 – Install an AFD (air filtration device) unit with carbon activated filters. An AFD unit with a HEPA filter is not enough and will not be efficient at removing smoke odors. Make sure you are equipping the AFD unit with carbon filters as these are what will absorb and trap the gases and odors. Step 4 – Spray Deodorizers to all smoke affected areas. In this step the aim is to penetrate the surface pores of affected areas with a deodorizing agent. You should be using a deodorizing agent geared towards smoke damage; Follow the instructions on how to mix up the chemical, get a spray bottle and spray all surfaces with it including walls and carpets (obviously do not spray it on water sensitive areas like electronics etc.) Let the solution sit and soak while it does its job. As the chemical dries you should be able to assess the situation and see if the smell is gone or if it needs another spray application. If this is not working effectively then it is likely because the fire was of a larger size and or higher heat, which may require a thermal fogging treatment. Thermal fogging replicates the heat like attributes of the fire which opens up the pores of building materials even more, however this should be reserved for the professionals. There you have it, the 4 steps in dealing with smoke odors in your home. These steps should work well in situations where the severity of the smoke smell is low-medium. Again, for larger more severe type jobs you should be contracting a local property restoration company to take over the job and restore your home to its preloss condition. Don't Let A Flood Cause Damage To Your Durango Home! Flood damage in the Durango area can cause various issues to your properties. You can predict the weather, but you cannot control it. If a rainstorm were to hit, there is nothing you can do to save your house. Fortunately, you can protect your loved ones and yourself from the flood. Once you hear news about a potential flood, you and your family can evacuate as soon as possible. The nightmare is coming back to a home that is destroyed by the flood. The cost of the repair can make you lose a significant amount of sleep. 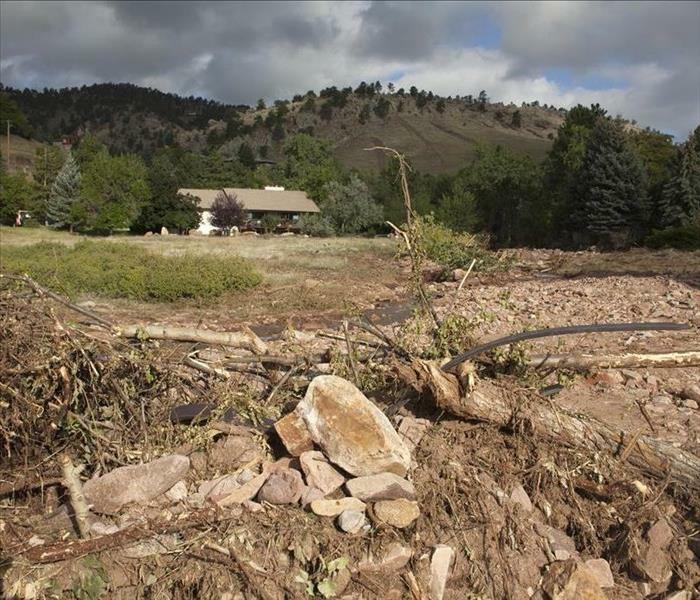 Flood damage in the Durango area can cause various issues to your properties. It can destroy the structural integrity of your home, cause electrical damage, leave sharp glasses and metals everywhere, contaminate your water, destroyed the drainage and sewage system, cut off communication, damage crops, and much more. 90% of flood damage results in the home, vehicles, belongings, and equipment left in the water for a long duration of time. The primary issue is that not all insurance company and policy can cover water damage from the flood. This problem can put a substantial financial strain on you. The cost of flood damage for 2011 is about $8.5 billion. This cost can take years for the community to rebuild its life after a flood. Before you decide on insurance, make sure that you verified that they could cover problems from the flood. Fortunately, you can reduce some of the repair costs by calling the SERVPRO technician. The techs can come to inspect your establishment. They can promptly begin the mitigation process to extract excess water from your home. The faster you get rid of the water, the more stuff from your place that you can save. After that, the SERVPRO tech can check the moisture content in the air to ensure that it is the sufficient drying condition. They can use various tools to help with the drying procedures. After the drying process, they can disinfect and deodorize your place. Once everything is complete, they can walk you through your home to ensure that you are satisfied with the results. 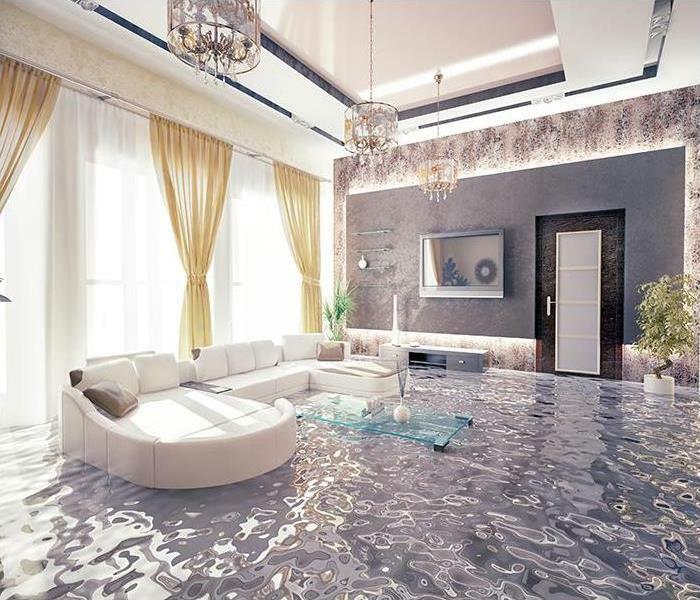 If you are ready to restore your house from expensive flood damage, then give SERVPRO of Archuleta, La Plata, Montezuma & San Juan Counties a call at (970) 259-6184, and we can promptly send a reliable technician to your residential area. Click here for more about Durango. Mold spores are a constant in Silverton as in most areas, floating on air currents and settling on surfaces in your home. The spores are relatively harmless until they absorb moisture from any water source. Within 24 to 48 hours of moisture availability, spores can begin the growth of colonies on any surface with even a trace of organic matter. When the mold infestation becomes evident, we can help. Drywall, wood framing, and insulation all provide a hospitable environment for mold damage in your Silverton home. The upper reaches of your attic, whether finished or not, are common places for microbial growth if even tiny amounts of rainwater, ice, or snow seep inside. Checking your roof and gutter system in the fall is a smart move to protect your home from water and mold damage. If you feel concerned about mold growth under the roof, we can help inspect and remediate if necessary. With the extreme temperature ranges a house in our area experiences over the course of a year come many opportunities for water to force its way into the interior. SERVPRO recommends maintaining a sound roof and properly working gutters and downspouts as your first defense against the leakage that can result in mold damage. Leaves, needles, twigs, and even branches can clog gutters if homeowners fail to complete routine cleaning. Clearing away debris and checking for cracked shingles, loose roof flashings, and broken drainage system supports ensures precipitation of all kinds remains outside your home. During our snowy winters, dirty gutters contribute to ice dams. Frozen water pushes its way under shingles bit by bit as warmer air from the house melts the edges of the pools of ice stuck in a clogged gutter. SERVPRO crews assist many homeowners with the water damage and resulting mold infestations in these scenarios. 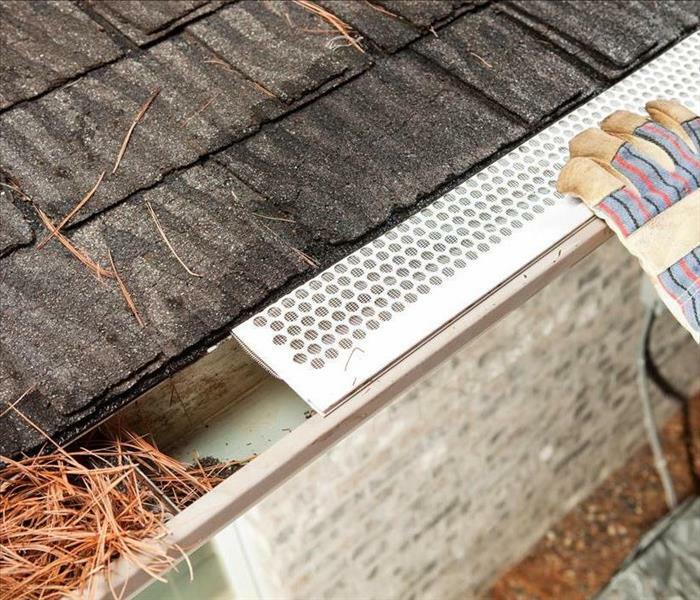 If poorly draining gutters or damaged roofs allow water inside to feed mold colonies, SERVPRO of Archuleta, La Plata, Montezuma & San Juan Counties has the expertise and equipment to remediate the situation. Call us for an inspection this fall at (970) 259-6184 to avoid even more significant problems when the snow flies. Here is a magazine guide to the area. 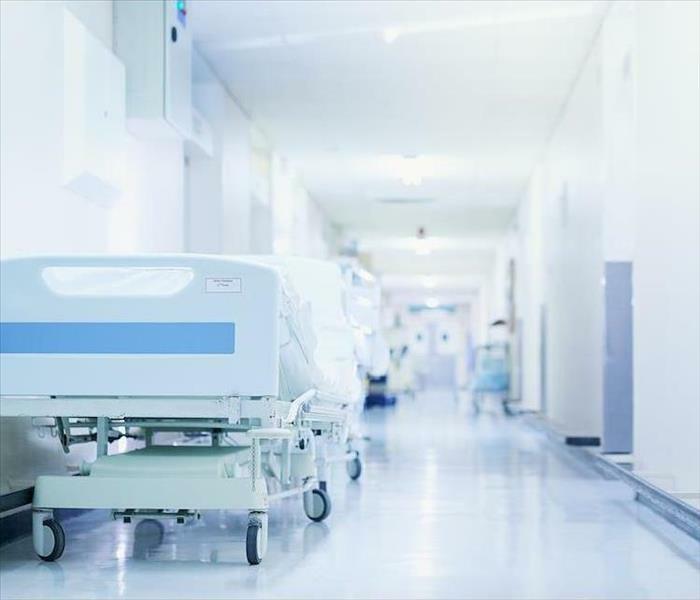 When an area of your hospital suffers from fire damage, contact SERVPRO to mitigate the situation. Even with the substantial maintenance and custodial staff that you have at your Durango hospital, the workload for this team rarely wavers. When the building gets threatened with a more considerable disaster like a fire, even the experienced staff maintaining the building lack the experience and the specialized equipment to overcome the effects. 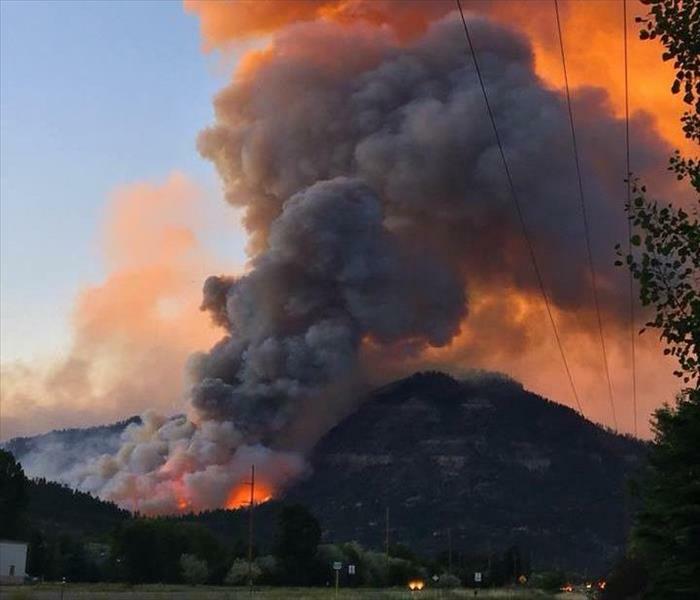 Fire damages in Durango can spread quickly throughout your facility and prove particularly challenging to overcome to even the most experienced of restoration technicians. Our SERVPRO team has the industry-leading equipment and expertise to handle every facet of fire restoration for your building and can do our job efficiently to reduce the amount of time that areas of your facility are inaccessible. From the moment that our team arrives at the hospital, we can get to work in assessing the full scope of the damage throughout the affected areas. This process helps to determine what personnel and equipment are necessary to overcome the effects of the fire through the building. Mitigation work also begins at this time, assessing what can be done immediately to reduce the continued damage to the structure as restoration work prepares to begin. Our SERVPRO technicians not only seek to address the primary effects of the fire quickly but also set in motion the steps to overcome secondary effects as well. Extinguishing the flames, for example, can often lead to water damages throughout affected areas as well as structural holes where first responders required immediate access to the blaze. Our complete approach to restoration overcomes all of the obstacles to fully restoring your facility back to its top form for the health and wellness of area residents. Fire damages can present themselves in various ways throughout your facility from immediate structural weaknesses to smoke and soot damages. Our SERVPRO of Archuleta, La Plata, Montezuma & San Juan Counties restoration technicians can help you to overcome these effects and return your building to preloss conditions quickly. Give our rapid response team a call anytime you need us at (970) 259-6184. Whether it's a burst pipe or a broken appliance that floods your property, it is important to do thorough cleanup to restore your home. Whether it's a burst pipe or a broken appliance that floods your Pagosa Springs property, it is important to do thorough cleanup to restore the property to its preloss condition. Luckily, this is a case of clean water, which has minimal contaminants compared to cases with grey water, so the cleaning process is simpler. The only exception is if the spillage happens when no one is home because even clean water can cause other problems like mold and bad odor if left standing for too long. Perhaps the best strategy regarding water cleanup in Pagosa Springs is taking every step possible to prevent spillage. In this national preparedness month of September, you should familiarize yourself with ways that help prevent spillage. Check for signs of leakage in hotspots such as the area under sinks, near the water heater and along the plumbing lines especially where there is a connector or any other fitting. Turning off the main water supply is a good idea especially if you plan to be away from the property for a long period. In case you have water-leak detection devices, you should replace the batteries. These measures prevent spillage or limit the time water pools around the property. If prevention fails, it is essential to take proper remedial action. Having the emergency number of a restoration company like SERVPRO is also important because we have the capacity to start the necessary remedial action as soon as you notify us. Like with any other water emergencies, the speed of water extraction from the property makes a difference to how successful the remedial process is. Stains can be a major headache if not addressed properly. Most of the stains occur due to transfers from one material to another. For example, books and other materials lying on the floor can transfer stains to the carpet. Metal items can also cause rust stains on carpets or upholstery items, which are close. Our SERVPRO team helps move items before they cause stains. In case we find any stains, we clean them off while the affected materials are still wet because it is more effective this way. Call SERVPRO of Archuleta, La Plata, Montezuma & San Juan Counties for advice and assistance when dealing with water cleanup. You can reach us at (970) 259-6184 any time of the day. Click here for more about Pagosa Springs. Extreme weather systems and disasters like wildfires make the La Plata County area vulnerable to flash flooding. Properties in the vicinity are at risk of significant damage and are in need of a reliable and quick response from highly-qualified restoration professionals. Our trained technicians and state of the art equipment give local homeowners the best possible chance at a successful recovery from flooding. Overland flood damage can put properties in La Plata County at risk of severe loss; it is crucial that homeowners ready themselves. 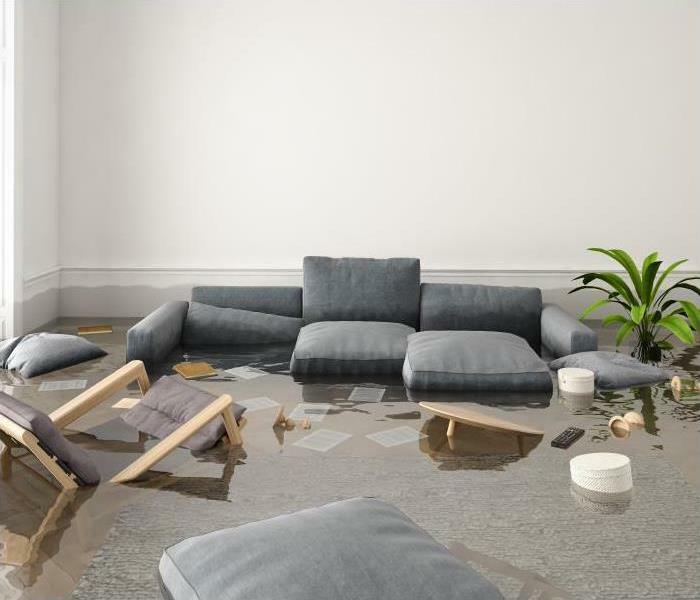 Although it is potentially possible to clear away the flood debris without assistance, a property holder is best positioned if a reputable restoration company is ready to help. We have thoroughly trained technicians available within a few hours notice with access to high-capacity equipment designed to remove quantities of water safely. SERVPRO helps residents move water out of lower levels using submersible pumps and water extractors. With flood waters, the possibility of contamination is always present. The ground surrounding a flooded home can be full of hazardous substances, including dead insects and animals, yard and roadway chemicals, and sewage from overflowing sanitary systems. Human waste, full of pathogens, can be a challenge to the removal professionals. We can contain the tainted water as we remove it, disposing of it according to local hazardous waste rules. The surfaces saturated with the dirty water must receive effective decontamination. EPA registered disinfectants treat the affected areas, and SERVPRO employees must be cautious as we move from suctioning away flood waters to drying out the spaces. Air movers can spread hazardous materials when sanitization protocols are not followed. If the flooded space in your home also served you as storage or living area, we may recommend a pack out of personal items and furnishings. When SERVPRO production facility technicians have the chance to focus piece by piece on cleaning, disinfecting, and drying out away from the structural drying both types of property have a better shot at regaining function and appearance. SERVPRO of Archuleta, La Plata, Montezuma & San Juan Counties is up to the task of assisting homeowners coping with severe flooding in the aftermath of one or more natural disaster. Contact our team at (970) 259-6184 day or night for assessment and development of a flood recovery plan. Click for more about this county. 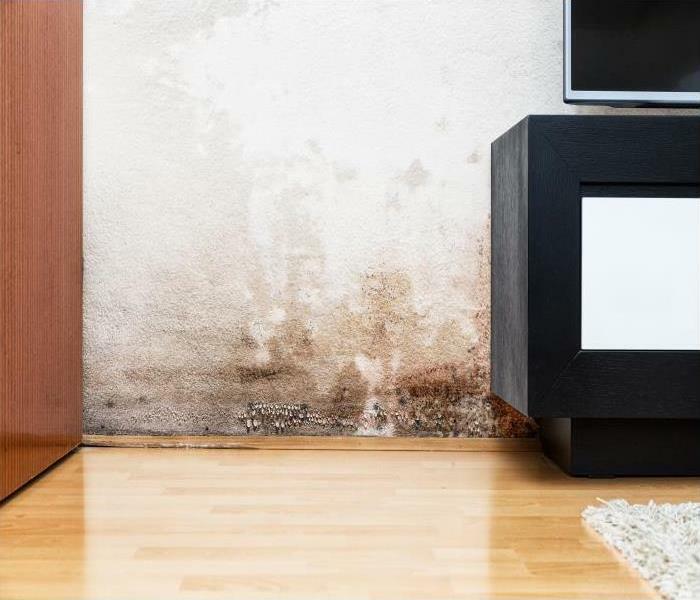 When homeowners think of situations like mold damage in their Durango home, many attribute this occurrence to dirtiness or some different catalyst. Keeping up with your Durango home might seem like a constant chore to many homeowners in the area. With the threats from severe weather systems throughout significant portions of the year and other natural threats to the stability and functionality of your home, many homeowners tend to overlook the potential problems that could exist in the less frequented areas of their homes. When homeowners think of situations like mold damage in their Durango home, many attribute this occurrence to dirtiness or some different catalyst. In truth, mold spores exist microscopically in almost every environment we encounter, including every area of your home. With this in mind, these spores are only waiting for the conditions to get met for them to seat into organic materials and colonize. Finding a colony can prove challenging in your home, primarily if it occurs in an area that you do not frequent very often. Crawlspaces and basements are two favorite locations for mold growth to occur, and both of these are often less trafficked areas of the house. While an active colony often emits a strong musty odor, this can get missed if you are not in the vicinity of the colony. Our SERVPRO technicians can help you to identify the presence of mold and potential risks for growth from unresolved moisture sources. Inspections are an excellent way for you to stay ahead of a potential problem before it gets out of control. While ultimately these situations often still require the expertise of our SERVPRO remediation technicians, catching a problem early can aid in preserving structural materials from degrading to the point of being unsalvageable. Often, mold growth occurs in damp and dark locations in or around your home. Early indicators are random spots on drywall and wood, which can indicate that spores have started to colonize. More often than not, homeowners do not know they have a problem until it is out of their control. If you find mold growth in your house, you can always count on our SERVPRO of Archuleta, La Plata, Montezuma & San Juan Counties remediation technicians to arrive quickly and get to work on removing this presence. Our rapid response team is standing by now at (970) 259-6184. When a fire disaster affects your Durango home, three major types of property suffer damage. The structural components of your house include framing, walls, floors, ceilings, stairs, roof, windows, and doors. Fixtures are “fixed” or semi-permanently attached to one or more of the structural components. Examples are cabinets, carpeting, paneling, sinks, toilets, lighting, and so on. Usually, these two categories of property remain on-site after fire damage, and we use strategies to clean and restore them in place. A vast number of other possessions in your Durango home show signs of soiling or charring after fire damage. Books, documents, clothing, toys, bedding, window coverings, furnishings, exercise equipment, electronics, small appliances, dishes, utensils, pots, and pans are just some of the items commonly exposed to fire residues. Most of the articles on this list can be moved out of your home during the restoration process. Assessment, cleaning, and restoration takes place at our production facility or elsewhere on your property, This benefits the efforts made by the crews charged with the responsibility of restoring the house, opening up space and reducing concerns about contaminating the movable objects during structural cleanup. We inventory all items moved off-site with labels or barcodes, useful for both insurance and chain of custody purposes. SERVPRO production facility specialists review the damage and work with you and your carrier to sort personal property, assigning each piece to a cleaning and restoring technique or disposal if too damaged or unwanted. Clothing and other washable or dry cleanable fabrics are cleaned following smoke contamination protocols. Handling this without the proper cleaners and methods can set the smoky odors permanently. SERVPRO employees use a broad range of strategies mastered during the Institute of Inspection, Cleaning, and Restoration Certification (IICRC) training to remove soot residues and tarnish without harming the underlying materials. The approach changes with the type of material and the degree of heat and damage. Many of your possessions might also have water damage from firefighting efforts. SERVPRO technicians are proficient in water damage remediation as well, extracting the moisture and setting up contained drying and deodorization chambers for efficiency and better success. Even papers and books have excellent outcomes with innovative techniques like a vacuum freeze-drying process. Salvaging documents are probably the most challenging recovery to achieve, but we strive for restoration whenever feasible. SERVPRO of Archuleta, La Plata, Montezuma & San Juan Counties is just a call away at (970) 259-6184. Contact us immediately after you have clearance to begin cleanup in your fire-damaged home. We have solutions for all aspects of the devastation. Click here for Endless Adventures. 10/16/2018 - What is Fire Legal Liability? 10/10/2018 - Don't Let A Flood Cause Damage To Your Durango Home!